It is amazing isn’t it? 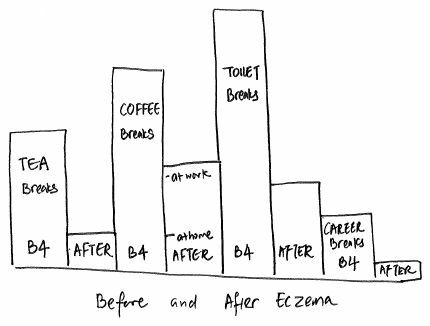 I’ve managed to draw 101 cartoons that Moms with Eczema Child do Differently! This last segment is the final season, and aptly terms FINAL BREAKS where the focus is on all sorts of breaks! The most obvious being – THE LACK OF COFFEE BREAKS! And I didn’t even think of EXERCISE Breaks, only goes to show how long I haven’t had the chance to do so! This is the 97th of my “101 Things that Moms with Eczema Child Do Differently“, a tongue-in-cheek look at the many unique situations that we face. For more cartoons, click here to view.